BERLIN -- Daimler AG's Mercedes-Benz plans to expand its lineup of high-end luxury cars and sport-utility vehicles in an effort to surpass BMW AG's record profit. Mercedes will add variations of its flagship S-class model after revamping it in 2013 in a bid to become the segment's profit leader, according to two people familiar with matter. The automaker is also considering a convertible version of the $114,100 CL coupe, they said, declining to be identified discussing internal plans. BMW and Volkswagen AG's Audi have grown at more than five times the pace of Mercedes over the past decade by more rapidly increasing their offerings. The 125-year-old manufacturer, which has also dropped to third in profitability, lost the luxury-car sales lead to BMW in 2005 and slipped behind Audi this year. "Mercedes has been stagnant compared with Audi and BMW," said Juergen Pieper, a Bankhaus Metzler analyst in Frankfurt. The brand's struggles to attract younger customers with sportier products and late expansion into markets like China have slowly eroded its position, he said. Mercedes also has new SUVs in the works, and the AMG performance unit may develop more models after the success of the $189,600 SLS gull-wing supercar, the people said. To demonstrate that big cars are still viable even as environmental rules tighten fuel restrictions, Mercedes plans to show a fuel cell-powered sedan concept at the International auto show in Frankfurt next week, they added. Mercedes will start its push for sales growth in Frankfurt when it also presents the next generation of the B class. The van-like compact is the first in a line of four small cars aimed at attracting younger drivers. Mercedes is investing 1.4 billion euros ($2 billion) to produce the models, including a new factory in Hungary. While those models are key to increasing overall deliveries, the high-end push is needed to boost profit. "We don't plan to grow just in premium compact cars," Joachim Schmidt, head of sales and marketing at Mercedes, said in an interview, declining to provide additional details. "We also have ideas about new products for the high end." Mercedes has typically been the leader at the upper end of the luxury-car market, which is crucial to its image and bottom line. Last year, the manufacturer delivered 80,000 vehicles from the S-class line, including the CL coupe and SL roadster, beating the 65,800 7-series cars sold by BMW and the 17,000 A8s by Audi, according to company figures. That sales success, combined with an exclusive reputation, helps command higher prices. In the U.S., the entry-level S class is a $91,850 hybrid that combines a 3.5-liter engine with an electric motor, while BMW's base 7 series goes for $71,000 and has a standard 3.0-liter engine. Audi's A8 comes with 4.2-liter engine and starts at $78,050. The strong position in luxury sedans hasn't been enough to keep Daimler from falling behind BMW and Audi, who've been quicker to move into growing segments like compact SUVs. Between 2001 and 2010, Mercedes increased overall annual sales by 64,000 vehicles, while BMW added 343,600 and Audi 368,400, according to company figures. Through the first seven months of 2011, Mercedes has delivered 48,000 fewer vehicles than Audi and 87,700 less than the BMW brand. "Mercedes wants to provide its customers 'the best or nothing,' and we also have to live up to that in terms of our performance against competitors," Schmidt said. "That goes for volume as well." In addition to slow sales growth, profitability has lagged. In the second quarter, Daimler's car unit, which also sells the Smart city car and the ultra-luxury Maybach brand, posted earnings before interest and taxes equivalent to 10.7 percent of revenue, while Audi reported a margin of 11.8 percent and BMW 14.4 percent. 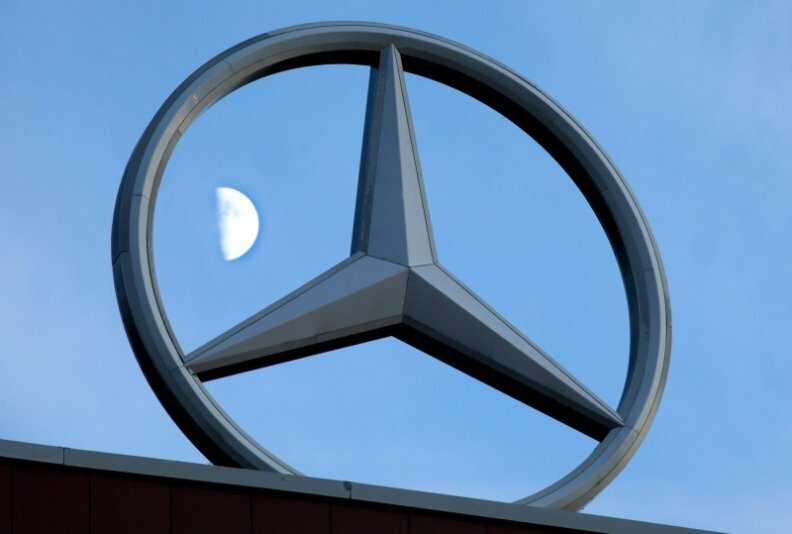 "Mercedes made the mistake of riding its established customers too long," said Stefan Bratzel, director of the Center of Automotive Management at the University of Applied Sciences in Bergisch Gladbach, Germany. "Mercedes needs to go on the attack because BMW and Audi have been more dynamic. Otherwise, they risk being left behind." Mercedes still has room to expand its big-car offerings, with potential to grow as wealth in China increases and luxury spending in the U.S. recovers, said Bratzel, a former manager at Daimler's Smart unit. Audi and BMW aren't standing still. Audi will debut hybrid and "S" performance versions of the A6 and A8 sedans as well as the S7 four-door coupe in Frankfurt, as it seeks to move more upscale and overtake BMW as the luxury-car leader by 2015. This year, the VW unit, based in Ingolstadt, Germany, introduced the Q3 compact SUV to challenge the BMW X1 for suburban drivers -- a segment where Mercedes is currently absent. BMW, which will showcase new generations of the 1-series compact and 6-series coupe in Frankfurt, plans to introduce the electric-powered i3 city car in 2013. The plug-in hybrid i8, which accelerates to 100 kilometers (62 miles) per hour in 4.6 seconds while getting more than 78 miles per gallon, will follow in 2014 and cost more than 100,000 euros. Neither Mercedes nor Audi are likely to surpass BMW in the next four years, according to IHS Automotive. The Munich-based carmaker is due to deliver 1.81 million BMW brand vehicles in 2015, compared with Audi's 1.62 million and Mercedes' 1.65 million, IHS estimates. For Mercedes, the race won't end then. "In the long run, we can't be content with a solid second or even third place," CEO Dieter Zetsche said in a July memo to employees obtained by Bloomberg. "We should be far ahead of the pack."